We have a street in our neighborhood which is lined with crab apple trees, and for about a week and a half every spring, they bloom and it’s like driving down a pink-and-white flower tunnel (smells good too). 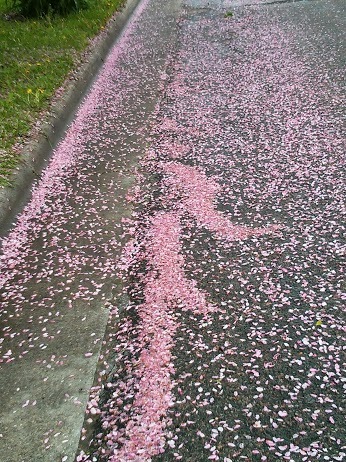 Then it rains, and the curbs are striped with rosy apple blossoms. Sigh. The end of an era (okay, a very short era). It was fun while it lasted.